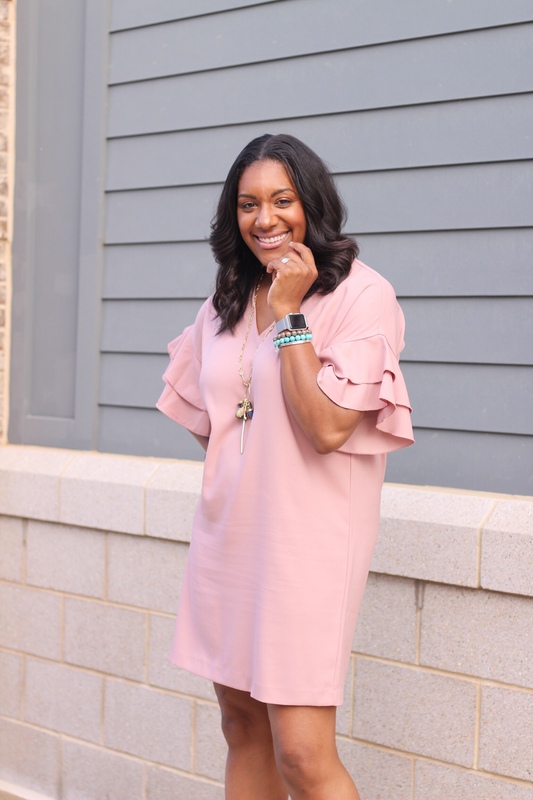 Shift dresses are my summertime JAM! I mean, how could you not want simple and easy when the heat gets cranked up?? 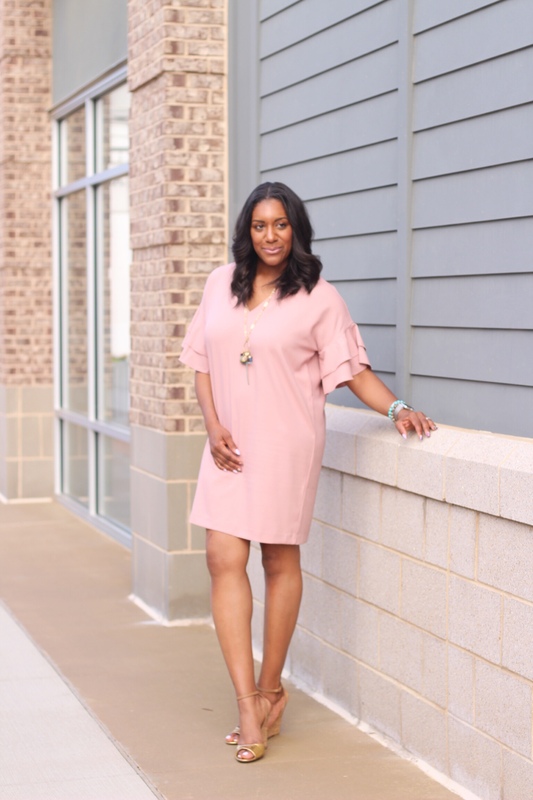 The shift dress is a summer essential for me and I’ll probably keep them in rotation for as long as I live (despite the fact that they make my cakes look super deflated). I call them ‘One Piece Wonders’, because whether dressy or casual, it takes little to no effort to put them on and accessorize. 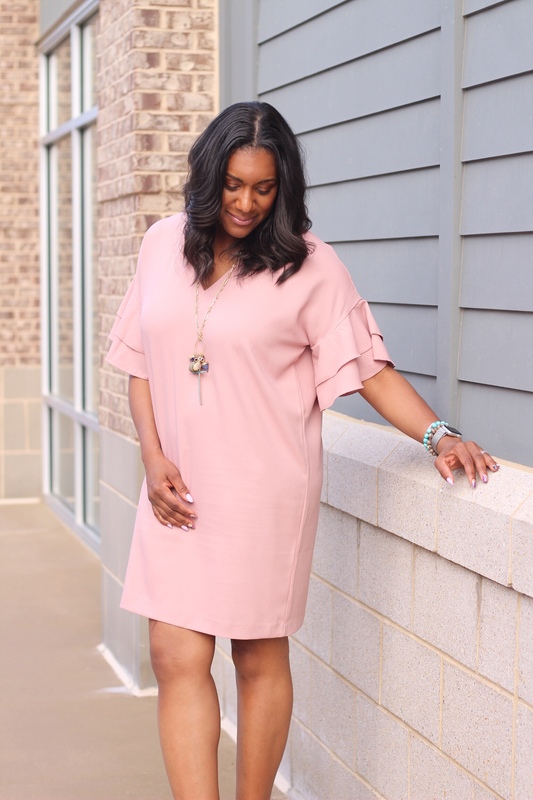 When I saw this blush colored one with statement sleeves, I had to have it! I chose turquoise for a pop of color and gold as the base. 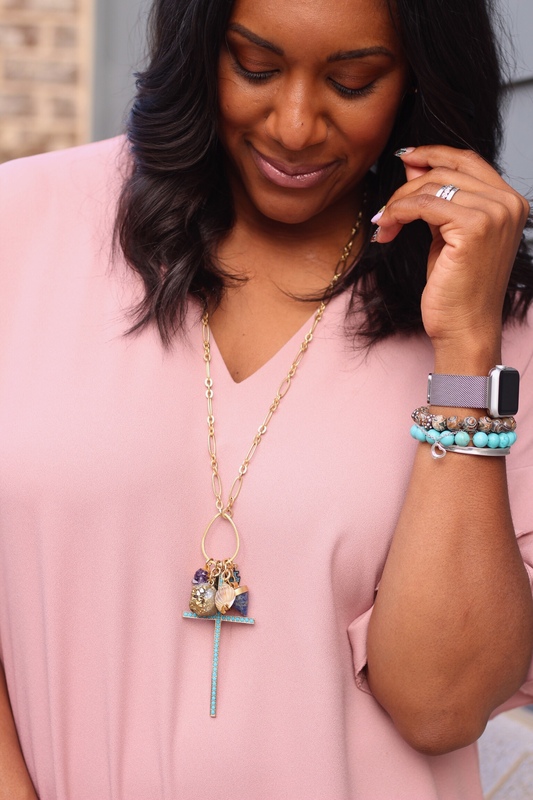 This works for work, brunch, or in my case, perfect for an in-store styling event. I was cool, comfortable, and stylish and you can’t beat that with a stick during the hot summer months. 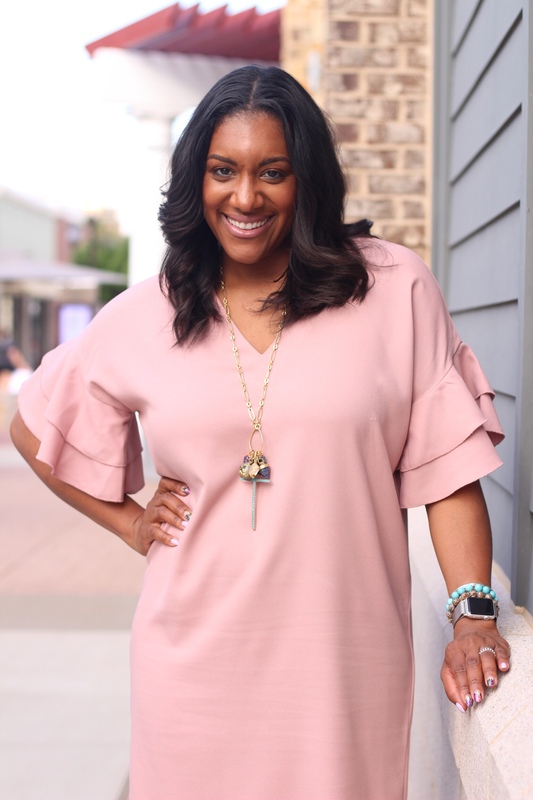 According to Q, you are truly missing out if you don’t have a shift dress in your summer wardrobe rotation. The styling options are endless as they can be dressed up or dressed down and look great with so many different accessories. Treat yo’ self! I promise you won’t regret it! Cheers to effortless summer style and the shift dresses make it possible! 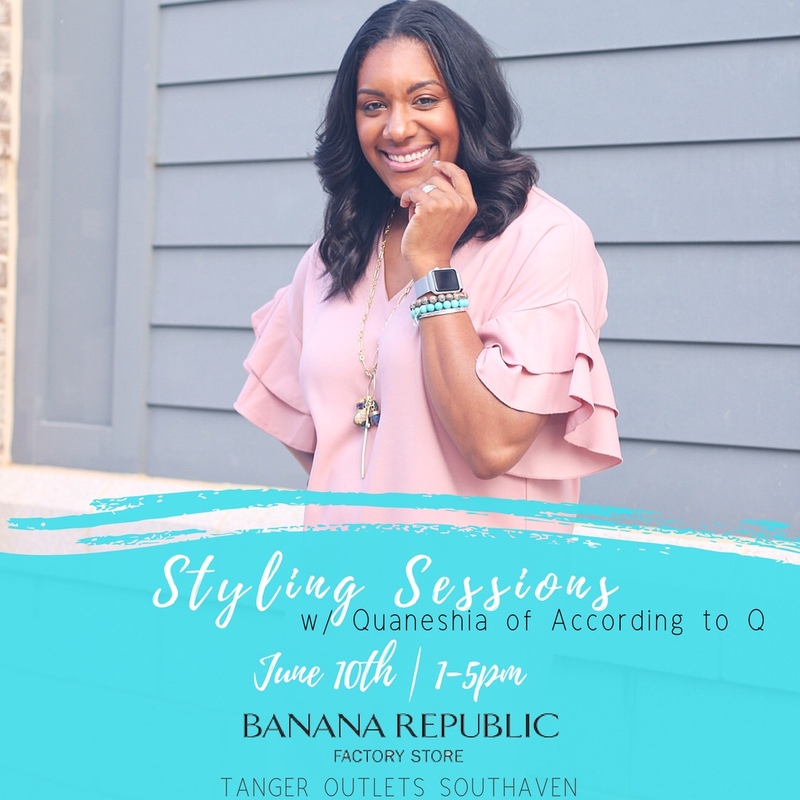 I’ll be at the Banana Republic Factory store in the Tanger Outlet Mall in Southaven again this Sunday! If you’re in Memphis, come check it out! Let’s make some magic!